Jetted Tub Repair by Happy Tubs. We can perform all kinds of jetted tub repairs including bathtub switch repair, air control repair, bathtub jet repair and bathtub pump repairs. Because we specialize in jetted tub repair, most jetted tub repairs are completed in the same day. We are proud to use the highest quality Made in America parts. It's how we ensure the quality and durability of all our jetted bathtub repairs. With our Jetted Tub Repair Service you will get a "best in the business" Fully Transferable Warranty! text or email us a picture of the entire bathtub, including one of any problem areas. include the name and number of the person we should contact with repair options and accurate cost information for your jetted tub repair. sit back and relax while we prepare and send you all of the information for your jetted tub repair. We are proud to be the highest rated Jetted Tub Repair company in Lynnfield, MA to be Authorized Service Representatives for warranty service and we also specialize in repairing jetted bathtubs by the following manufacturers. It gives us inside access to the best methods and parts for your jetted tub repair needs. "Happy Tubs arrived right on time, repaired the pump in my tub and left everything clean. The tub works as good as new and the jets feel stronger than before. All for a realistic price!" "I had the hardest time finding someone to work on my Whirlpool tub. Found Happy Tubs when i searched for whirlpool repair near me. They had a fair service call price and were able to repair my whirlpool tub on the same day!" "The absolute best for jetted tub repair. Had a non responsive switch in the tub, the kind you press down on, Happy Tubs took care of it on the first trip and I couldn't be happier!" "my jacuzzi tub wasn't working, the motor would just hum but water wasn't moving through the jets. 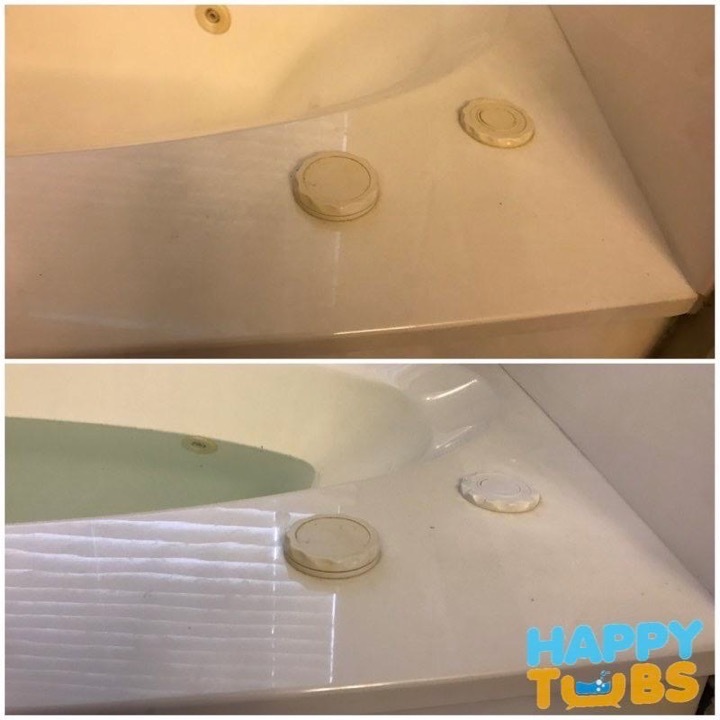 Found Happy Tubs online and they specialize in jacuzzi repair. They replaced the pump with a new one and it works like new!" "as a realtor I am so happy to be able to leave a review for Happy Tubs. They are a great resource for jetted tub repair. They have helped my clients many times with tubs that just wouldn't turn on and they do great work!" "I am so happy I found Happy Tubs! There aren't a lot of choices when it comes to jacuzzi repair, but they are the best. Fair and clear pricing along with world class service. Repaired my jacuzzi not turning on on the first trip as well!" "The technician from Happy Tubs arrived right on time for the appointment. He was able to figure out right away why my whirlpool tub wasn't working. They didn't have the required part, but they were able to find it and repair my tub. Recommended!" "I really appreciate them taking the time to explain why my jetted tub pump just hums and doesn't actually work. They have a very reasonable diagnosis fee that they credited towards the repair as well!" "They really know what they're doing. My plumber couldn't help with my jetted tub repair but Happy Tubs was able to replace the air switch in my royal tub within the hour and put everything together the way it was." "I am very satisfied with Arnold from Happy Tubs and the bathtub jet repair he did. I couldn't be happier. Not only did he repair the leaking jet, but he also had a cleaner for the tub as well. Your tub will be in good hands." "Happy Tubs came out for a bath tub jet crack repair. They did an incredible job - my jacuzzi tub looks brand new! Happy Tubs is quick, responsive, and does a great job - I highly recommend them." "When our older Royal Tub had 2 cracked and leaking jets, I wasn't sure where to turn. My plumber and handyman were unable to do anything to fix it. I found Happy Tubs online and I couldn't be happier. The tub jets are replaced and everything just works!" "The switch in our Jetta Tub stopped working. I couldn't use the tub anymore for my baths. I found Happy Tubs by searching for Jetta tub repair near me and they were great! Replaced the tub switch quickly and efficiently." 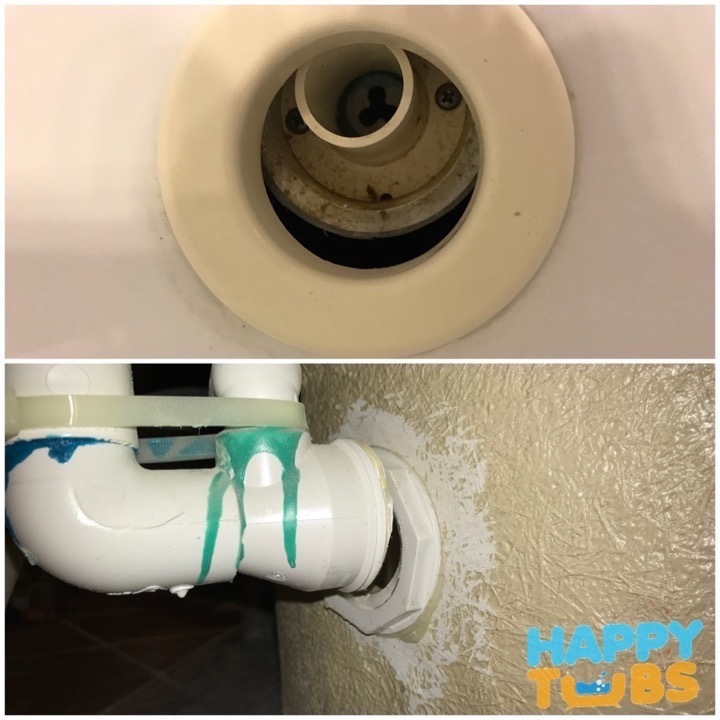 "After a leak was found in our jetted tub during the home inspection, we almost lost the sale because I couldn't find anyone that repairs jetted tubs and has a warranty. Happy Tubs was quick with a response and fixed my bathtub in 1 day, very clear and reasonable price too!" "When my Kohler bathtub started leaking all of a sudden, I called their support line and was referred to Happy Tubs. They came right out, found the leak in the pump and were able to replace it on the same trip. Highly recommended!" "We had a leaking faucet in our Royal jetted tub. The only problem was that there was this big panel that my plumber refused to move. Happy Tubs was able to remove the panel without breaking it so the plumber could get access. Recommended!" "Happy Tubs was right on time for our appointment. Just like my realtor said, they came on time, fixed our jacuzzi tub not turning on and left everything clean again!" "House for sale and jetted tub not working? Call Happy Tubs! From the initial call to showing up on time, everything was done very smoothly. 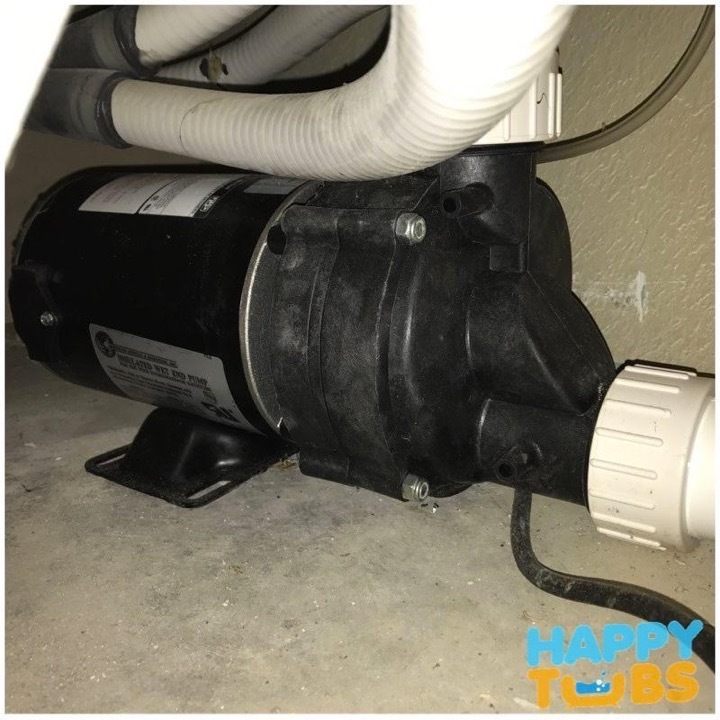 They were able to replace the bad pump in our jetted tub the same day they came out!" "My husband was convinced that he could fix our jacuzzi tub. After he shorted out the outlet he was finally convinced to call someone. I found Happy Tubs online and was impressed with the reviews. They did not disappoint, our jacuzzi pump now works again!" "Our Bain Ultra jetted tub started to run randomly at all kinds of hours. After turning the breaker off, we found Happy Tubs. They quickly came out for a service call and found the problem. They ordered the parts and even waived the fee for the second trip!" "Happy Tubs has the best jetted bathtub repair service! They were able to come out last minute for our jacuzzi repair and fixed the jacuzzi switch on the spot. I'm very pleased with the level of professionalism and efficiency from the technician as well." "Happy Tubs is the best jacuzzi repair company in the area! They knew what the problem was with my bathtub just from my description on the phone and were also able to give me exact pricing on our jacuzzi repair. Very satisfied!" "they were great at answering questions both before and during the appointment for our whirlpool repair. The technician from Happy Tubs quickly found the bad controller and was able to replace it even though it was a little hard to get to. I'm impressed!" "I am very happy I was able to find someone for our MTI tub repair. Happy Tubs was right on time and were able to quickly get the bathtub switch ordered and replaced. Arnold, the owner stayed in contact with me the entire time"
"you wouldn't believe how hard it is to find someone that provides Cielo baths repair and service! Plumbers and handymen don't touch jetted tubs at all! Happy Tubs came to the rescue though and was able to replace the pump in my Cielo tub. Recommended!" "I searched for jetted tub repair in Arlington, TX after my realtor suggested we fix the bathtub prior to the sale. Found Happy Tubs and was impressed with the reviews. I'm very happy with the jetted tub repair as grateful for a job well done!" If we can tell from pictures what the problem is, there will never be a charge for an estimate. If we have to come out in order to asses or diagnose your jetted tub, there is a trip charge of $129 in order to cover travel time, mileage and diagnosis time. We credit the entire $129 towards the repair, as long as it can be completed during the same trip. Do you carry parts for jetted tubs with you? We carry some common parts on the vehicles, but due to the many different manufacturers and model versions over the years, there's no way we can carry everything with us. How long do parts orders take? Most orders are shipped out by our supplier within the same day and generally take 5-10 business days to come in. Expedited shipping is offered by them at an additional cost. I don't see any access to my jetted tub. Can you still service it? While it does depend on the exact situation, we can access most tubs. Some are tiled in and we will have to cut around the tile in order to gain access. The charge for that is usually $99. Do you repair access holes you have to cut? No, we are unable to repair drywall or tile. We will replace and seal any access panels that we remove though. How long before I can use my jetted tub again? With our Jetted Tub Repair Service you will be able to use your bathtub the very same day. *In some rare occasions you may have to wait until the next day. We come out to diagnose the tub and can usually repair your non working jetted tub the very same day. Whether your bathtub pump is not working, or a bathtub jet is broken, or the bathtub doesn't turn on, we specialize in jetted tub repairs and can get your bathtub working again fast and for a low cost. Our trip charge is only $129 and there's no mileage or drive time fees. We even credit the charge towards any jetted tub repairs done on the same trip. We use Made in America parts and our suppliers are all located in the US. We also have the best warranty for all our jetted tub repairs, whether its a bathtub pump repair, bathtub pump just hums, bathtub jet repair, bathtub switch repair, bathtub heater repair, jetted tub leak repair or bathtub controls repair. We keep up to date with the latest training and repair methods in order to ensure that your jetted tub is repaired right the first time and will last you for many more years of service. Because we specialize in jetted bath repairs near me, you will be in good hands!